to keep yourself organized or to give as a crafty gift. Next, I evenly spaced out my ribbon tape ( I placed 4 pieces of ribbons across the canvas making 5 rows and 6 pieces of ribbon going down to make a total of 7 columns). You can use measuring tape for equal spacing between each ribbon, however eye balling each measurement works just as well. Once you have each ribbon spaced out accordingly, use your pins to hold down each square where your ribbons intersect. For embellishment, I used pins with pearls attached to the ends which enhanced the final product greatly. When you flip the canvas around, you may find sharp edges from the pins as they’ve been poked through. You can trim the excess pieces off with pliers and hot glue each pin to secure it in place. Hot glue each piece from behind the canvas to avoid globs of dried glue as part of the actual calendar itself. You can also embellish your large wall calendar with scrapbook paper, feathers, beads, and anything that comes to mind! DIY calendars are a quick and easy way to pass time each month and not to mention, they make the most heartfelt gift. 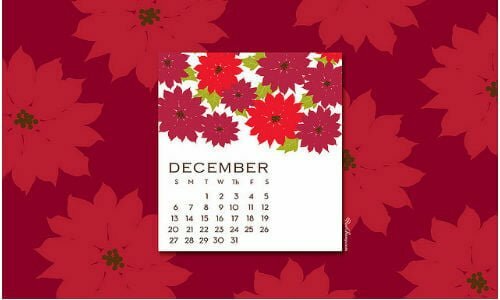 How can the perfect calendar be hard to find when it’s right under your nose, just one craft away? !